This is the running archive of a sporadic mixtape series from somewhere in the Heights. 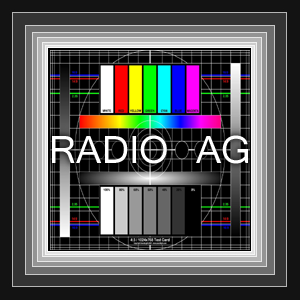 Radio AG was born in June of 2005. The plan was to provide a running mixtape for people in the Heights, initially meeting them halfway with a selection of pop rock, indie dance and alternative cuts, before slowly injecting more and more heavy atmospheric vibes into the proceedings as time passed. The righteous sounds of dub, breakbeat and electronic music were steadily in full effect throughout, and all was right with the world. Today, Radio AG provides an off the record glimpse into the button down minds of DJ Slye and Coqui as they cut loose in the Parallax Room with ramshackle vibes and a stack of records. It's a party, a radio transmission and a brace of killer tunes, all rolled into the succinct form of a mixtape. The frequency with which they arrive has never been predictable, but in recent times they've begun to arrive with the changing seasons. So feel free to drop by and have a listen, whenever the mood catches you. ©2019 Parallax Heights. All Rights Reserved.